A ten-gallon Stetson hat sitting on the head of a tall, lean cowboy; a slow armadillo crossing the hot, flat prairie; oil rigs pumping silently along the shrubby plains…these are all images many may have in mind when the word Texas is heard. The Lone Star State is represented by all of these descriptions, but the second-most-populated state in the nation has become so much more. It has flourishing metropolitan areas. It has world-class restaurants. It has top-notch chefs. It also has a booming—and blooming—wine trade. Texas Hill Country, just outside of Austin, is one such place that illustrates all of these. It has multiple super-star stops and is a region that is just beginning to shine. With over forty wineries, it is hard to choose just a few to taste. Never the less, here are two terrific examples of Texas wines. Named for the Pedernales River, this winery was started by the Kuhlken Family when they planted a five acre vineyard outside of Fredericksburg in the Texas Hill Country. Husband and wife team Larry and Jeanine worked hard to see what grapes would grow well in Texas. They quickly learned that these varieties were different than what was so popular in California at the time. Larry and Jeanine made the business a family affair when their adult children, David and Julie, joined. A true team effort, David is the winemaker and Julie is the marketer, while Larry and Jeanine still work the vineyards. Soon after David, Julie, and their spouses entered the family business, the endeavor began to grow, and grow, and grow; 15,000 cases were bottled last year. The tasting room, technically in Stonewall, Texas, is an original 1880s farmhouse that was moved from Fredericksburg. Expansions to this facility were made in 2012 to include a tasting bar, a VIP tasting area, and a private meeting space. The outdoor patio has a fantastic view of the rolling Texas hills for which the area is named. Proof that the land and terroir are most important here is shown from just looking at a bottle of wine. The striking label is a mix of arrowheads with a grape leaf. This represents the artifacts found on the original vineyard site and those found on the tasting room site, as well. It shows the perfect correlation between the dirt and the vines growing in it. Superstar Wine: 2014 Vermentino—A variety known for its Italian roots, this wine is processed in stainless steel. This technique helps to bring out the grapefruit, wet rock, and green grass on the nose and palate. The long, orange finish is a great end to the wine. 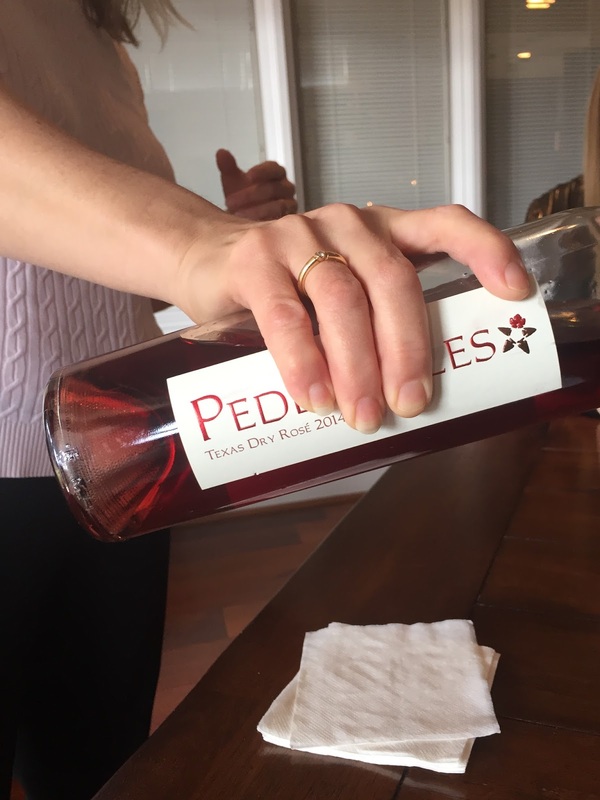 Superstar Wine: 2014 Rosè—I believe in rosè all year around, and the Pedernales is one for every season. It is made from tempranillo and mourvèdre grapes, giving it a dark, dramatic pink hue. Beautiful earth and strawberry shortcake flavors lead to a slight strawberry-orange finish. Superstar Wine: 2013 Tempranillo Reserve—The grapes for this special wine are sourced from both the High Plains and the Texas Hill Country. After spending over a year in oak, the rose, talc, dust, cherry, and pepper lead to a fabulous white pepper finish. 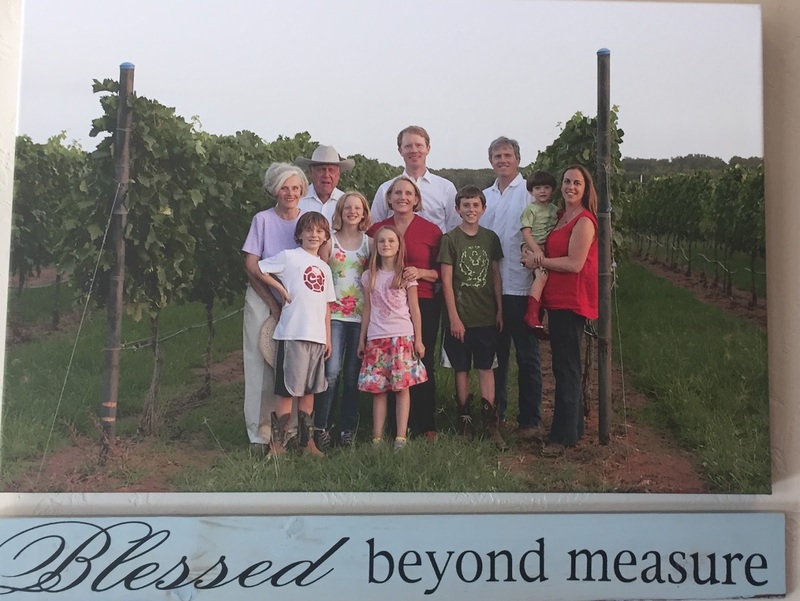 Family is key in Texas, shown also through Kuhlman Cellars. 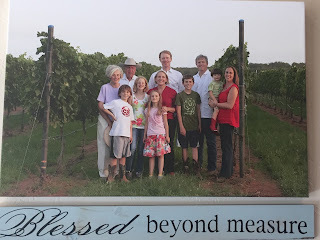 Chris and Jennifer Cobb, along with Chris’s parents Diane and Reed, managed a vineyard in Texas Hill Country before starting their own label: Kuhlman Cellars—named for another body of water, Kuhlman Creek. In 2012, the Cobbs hired their winemaker, Bènèdicte Rhyne, a Provence-raised enologist with experience in Sonoma and Texas. Her French background followed her all the way, showing itself in her love of blending wine for the perfect finished product. To get started, Sonoma grapes were used while the Texas grapes were growing. The transition is currently in progress to Texas wine from Texas fruit, all the while focusing on the soil where the grapes were grown. This focus on terroir is shown in the names of the wines: Calcaria (limestone), Alluve (alluvial), and Kankar (caliche). SuperstarWine: 2014 Viognier—Growers quickly realized that viognier is a superb grape for the Texas terroir. Kuhlman’s is sourced from the High Plains and is full of peach, flowers, and herbs. Good acid balances the silky smooth finish. SuperstarWine: 2015 Hensel Rosè—This wine is not yet ready for consumers to purchase; however, rosè lovers need to have a head’s up for this dry, Provencal-style wine. Made from cinsaut grapes, the wine is beautiful from its color of baby-pink to its taste of peaches and flowers. SuperstarWine: 2012 Kankar—The flagship Kuhlman wine, it is, of course, a blend that will change each vintage depending on that year’s climate, grapes, and harvest. The goal is to always have a robust wine with good acid structure. The 2012 has these along with ripe-red fruits, dark chocolate, and fresh violets. Texas, the Lone Star State, has quickly found the shining grapes that grow well in its climate. In between the Stetsons and spurs, great wine is being made. It is being made in its own way—a way original to Texas—a way that shows Texas will always follow its own path to blaze its own trail. Not content to be just like any other wine region, Texas is well on its way to world-class status.